I often get queries from my clients about taking up the Kellogg's special K challenge for a quick weight loss plan. I am sure most of the weight watchers there would have tried their luck to lose a couple of pounds with this product. Special K, manufactured by the Kellogg's company is a lightly toasted breakfast cereal, primarily made from rice and wheat. Kellogg's special K claims to ‘drop a jeans size in two weeks'! Sure, that sounds like ‘WOW' for those trying to lose weight, but does this really work well for you? When you take up the challenge, you need to replace 2 meals of your day with 1 cup (31g) of special K with ½ cup of milk (75ml) accompanied by a fruit. The other meal can be a regular meal. 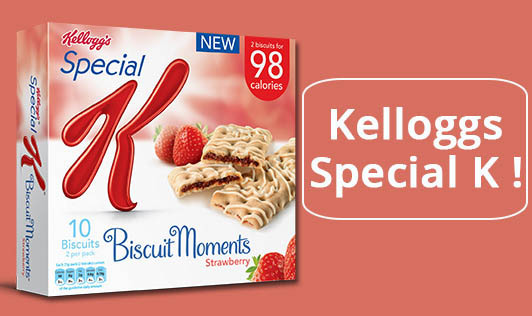 One should include a A snack or two from Special K products like (bars, cereal, snack bites or fruits or vegetables) in between meals. What is special about the Special K challenge? Let us debunk some nutrition facts about this product. It is a processed cereal, with no whole grain ingredients and hence, the dietary fiber content is zero! The protein content is also very low. The entire meal gives about 6gm of protein that is majorly contributed by milk. And, most of the vitamins and minerals mentioned are also fortified or added artificially as most of the natural ingredients get lost during processing. The only positive aspect of Special K is that it has zero fats. For healthy weight loss, you just can't look at the fat content and over look the content of other nutrients. How Does Special K work? So, once you take up the challenge, you actually start cutting down on calories from two major meals and all the mid meal snacks that you usually munch on between your meals and at your teatime. With this major calorie slash, you will certainly lose weight. The freedom to select your third meal makes it more acceptable among consumers. The product calls you to take up a weight loss challenge. The diet mentioned is simple and it motivates beginners with initial weight loss. The diet that you follow to meet the challenge is not balanced and lacks fiber, protein, essential amino acids and fatty acids. Moreover, eating two meals of cereal and milk can be quite monotonous. So, this is definitely not the recommended plan to follow for a long time. This product can be used like as the way you would use any other breakfast cereal with a cup of skimmed milk and fruits of your choice. But remember, there is no single food that can help you lose weight. Weight loss is effective only with a disciplined diet and exercise routine. Talk to your dietician to help you lose weight in a healthy way, so you can maintain it for a longer time.